Explore stunning minimalism with the Tissot® Everytime Large watch. Three-hand analog display with ETA 902.101 quartz movement. Silver dial face features Arabic and baton hour markers with minute track at dial perimeter. 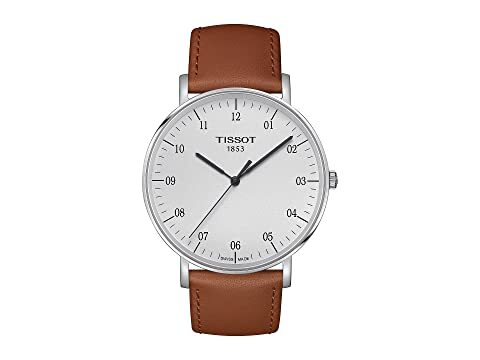 We can't currently find any similar items for the Everytime Large - T1096101603700 by Tissot. Sorry!